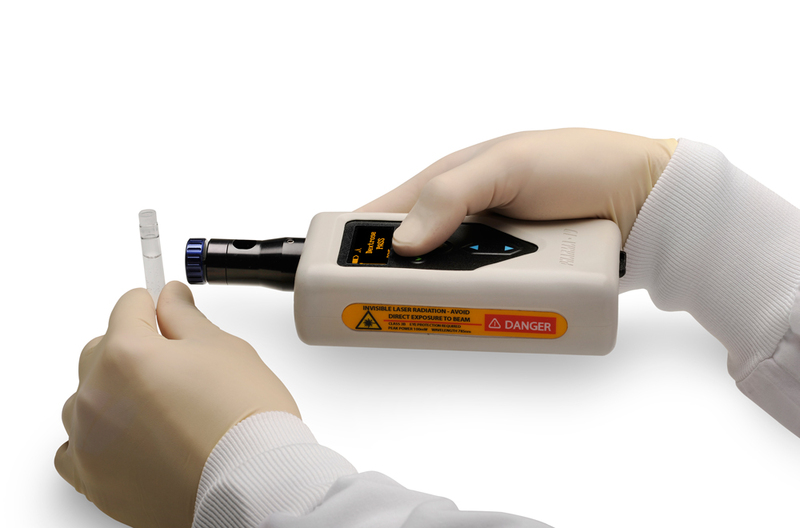 PharmaID is the smallest, lightest solution for cost-effective, non-destructive pharmaceutical identification. 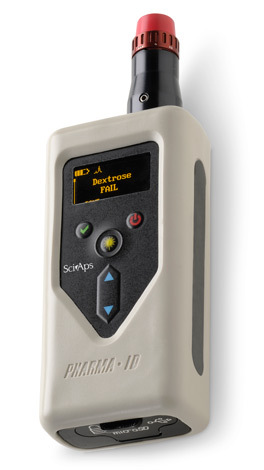 This palm-sized, easy to use handheld Raman spectrometer identifies and validates excipients and active pharmaceutical ingredients (API) wherever testing is needed. PharmaID can be used for the various phases of process analytical technology (PAT) systems and supports 21 CFR Part 11 protocols to assist with regulatory compliance. PharmaID analyzes liquids, powders, solids and gels, even through glass or plastic packaging. This portable Raman spectrometer requires no user contact with the samples, eliminating the risk of exposure or contamination. 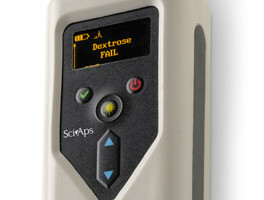 By comparing the Raman spectra of the tested sample against that of the chemicals stored in a pre-loaded, user-expandable spectral library, test results appear in seconds on its highly visible OLED display. 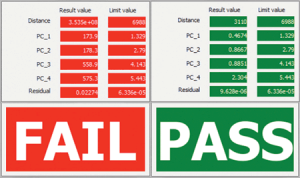 SciAps has partnered with CAMO Software to enable this portable Raman system with pass/fail results. PharmaID can operate continuously for more than four hours on its rechargeable battery and connects via USB to a PC or wirelessly with its Bluetooth® interface. 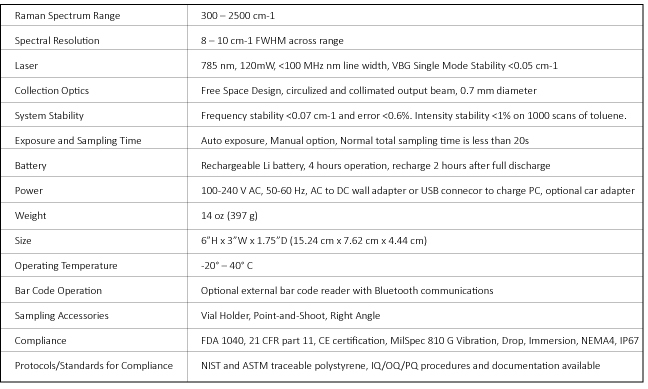 Available accessories include a Bluetooth barcode reader, point and shoot and right angle tips with adjustable focal depths, disposable tip covers, glass vial holders and vials. For more information on The PharmaID please visit our Knowledge Center.